Path of Fire is now just hours away from launching! 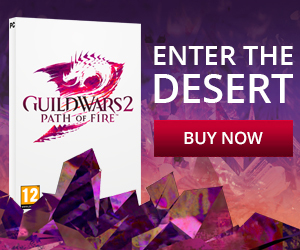 I hope you’re as excited as we are to finally get your hands on Guild Wars 2‘s latest expansion – and if you haven’t yet bought your copy, you can do so using our affiliate link to help keep us running. For our latest magazine issue, we’ve taken a trip down Season 3 memory lane to bring you the definitive collection of content surrounding the latest Living World story arc. In our twentieth magazine, Season’s End, we explore all the juicy lore you may have missed over the last 14 months, including articles on the druids and a recap on the entire season. We’ve also interviewed Jebro and Gladomer to discover their thoughts on the Competitive Feature Pack that launched in June, as well as squeezed in our usual community artwork and fiction series. We hope you enjoy our latest magazine and the rapidly-approaching expansion! With so many plot threads this season, it’s easy to have missed some important lore – but don’t worry, Drax has your back! Miko compares the storytelling of Season 3 with its predecessor. Has it improved? Find out inside. 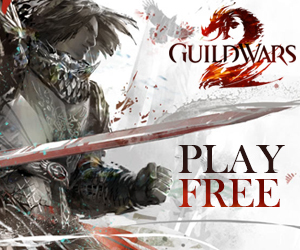 Xeroe explores the effects of June’s PvP and WvW updates with streamers Jebro and Gladomer. Inhabiting Draconis Mons, what do we actually know about these ancient spirits? Hand-picked art inspired by Season 3. Minions of Grenth is a casual PvX guild open to all players. Many more articles are lurking in these digital pages, so get stuck in!